Many marketers recognize that word of mouth (WOM)/earned media, online and off, is the most effective form of advertising, but precisely how effective is it? Up to now, there’s been no industry-wide, definitive study to answer that question, but the Word of Mouth Marketing Association (WOMMA) has changed all of that with its new “Return on WOM” study. 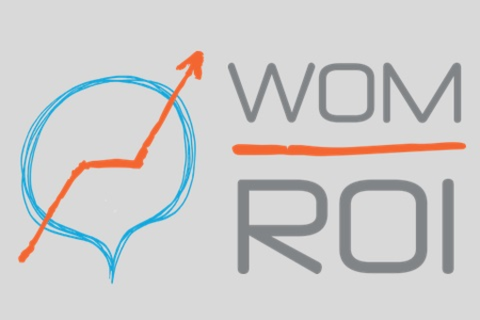 We now know the ROI of WOM marketing and, more importantly, how it can be maximized for brands across a variety of categories. This study has brought together leading brands across a variety of categories to share data and insights, and in this panel, study participants (as well as Peter Storck, Chairman of the WOMMA Research & Measurement Council) will discuss how the results finally quantify the value of earned media relative to paid/owned, and what that means for the future of WOM. This is a unique opportunity to learn what cutting-edge market-mix-modeling techniques reveal about how WOM should fit into your overall marketing mix. Beth Rockwood serves as senior vice president, market resources and advertising sales research, Discovery Communications. Based in New York, Rockwood oversees marketplace intelligence, sales support for all DCI assets and joint ventures, audience estimates and forecasting for Discovery’s portfolio, as well as custom research for advertisers. She reports to Joe Abruzzese, president, ad sales, Discovery Communications. Prior to Discovery, Rockwood worked for CBS, where she developed and led the market resources team. She began her career at Young and Rubicam, where she was hired as a trainee and was subsequently promoted through the ranks to executive vice president, media director. She serves as a member of the Council for Research Excellence, Media Ratings Council, CONCAM, and Coalition for Innovative Media Measurement (CIMM). Rockwood holds a bachelor’s degree from St. Lawrence University and resides in New York City with her husband. Ed holds the position of Senior Director, Analytics for Pepsi NA Beverages Company. He is responsible for all phases of consumer analytics including marketing ROI and optimization, value and price/pack analytics, and consumer tracking and digital analytics. Ed leads the development of on-going marketing analytics across the portfolio of PepsiCo U.S. beverage brands. He and his team are currently focused on understanding of how to fully leverage mobile to develop a deeper understanding of consumer behavior. He has deep expertise around how to best use syndicated data analytics, household panel, and brand health/equity assessment to drive business impact. Greg Pharo is director of marketing analysis and research for AT&T Mobility. He leads the marketing sciences practice for the nation's leading communications company, helping AT&T optimize its return on marketing investment. His responsibilities include market mix modeling, media and pricing optimization, advertising & messaging research and social media insights. Greg is a recognized expert in advertising insights, forecasting, earned media analytics and marketing ROI. He is a frequent guest speaker at Emory University’s Goizueta Business School and at the Advertising Research Foundation. Peter Storck oversees strategic research for House Party, a social marketing company serving many of the world’s biggest brands. Peter has been at the forefront of studying technology’s impact on marketing for over eighteen years, starting at Jupiter Research, where at the advent of the consumer Internet he launched the firm’s online advertising practice, the first of its kind in the world. He later became President of Jupiter, which he helped build into a $65 million syndicated research business. Prior to his work in digital marketing, Peter served on state and national political campaigns dating back to 1984 and as an advisor in Congress. He also taught writing at Columbia University. Peter is a member of the Board of Directors of the Word of Mouth Marketing Association (WOMMA). He holds an MFA from Columbia University and a BS from Cornell University.